Nearly 50 million people live with severe or chronic pain. Not only does pain take a toll physically and mentally, but it also carries a hefty financial burden. The price of doctor visits, prescriptions, and loss of wages and productivity adds up significantly, costing around $530 to $635 billion each year and making cost-efficient and effective treatments essential. While traditional medications may ease symptoms, they often come with a laundry list of side effects. Nature’s Script Hemp Oil offers a natural alternative to prescriptions without the adverse side effects. You may not know how to use Hemp Oil for pain, but once you learn, the results are well worth it. Research suggests this supplement has the potential to manage pain, enhance your mood, and promote better sleep quality. Hemp has been used as a renewable resource in the textile, automotive and construction industries for thousands of years. Researchers are now studying this diverse plant for its ample health benefits. Hemp has shown to help acne regulation, better immune system function, and appetite stimulation. At Nature’s Script, we use non-GMO, superior-grade Industrial Hemp plants to extract Hemp. Using a CO2 extraction method, we can separate Hemp Extract from the other cannabinoids, or chemical compounds, present in Hemp plants, including THC – the psychoactive cannabinoid in Marijuana that causes intoxication. The resulting 99 percent pure Hemp Extract, also known as CBD isolate, is used in all our products and will not create a “high” or result in a failed drug test. All Nature’s Script products are manufactured in-house for quality assurance and tested by a third-party laboratory for accountability. 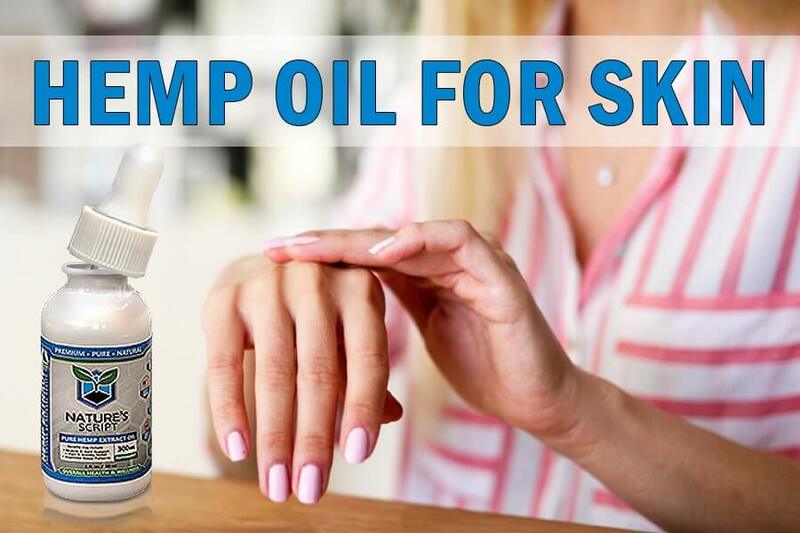 Nature’s Script Hemp Oil is comprised of Hemp Extract, MCT Oil and Grape Seed Oil. This product is taken sublingually, or under the tongue, because the tissues in this area allow for quicker absorption. Hemp Oil may decrease inflammation and reduce discomfort, aiding those with chronic pain and arthritis. Hemp Extract works with the Endocannabinoid System, or ECS, to regulate various body processes and maintain homeostasis. The ECS is a network of cannabinoids and cannabinoid receptors present in all mammals – so your furry friends can benefit from this “miracle compound” as well. When you take Hemp Oil for pain, the natural compound does not bind directly to ECS receptors. Instead, it causes a change in molecular concentrations to reduce pain. For example, when you get injured, the damaged tissue sends out a signal to initiate the immune response. Immune cells flood the area to repair the area causing swelling and inflammation. While inflammation is a natural response to injury and infection, prolonged inflammation can cause Rheumatoid Arthritis and increase the risk of heart disease and stroke. Hemp Extract works to decrease inflammation by binding to overactive immune cells and activating caspase. Caspase influences overactive immune cell death to reduce inflammation, potentially relieving pain as a result. Regardless of how often you use Hemp Oil – whether it's daily or intermittently – you will likely see a difference. The anti-inflammatory and analgesic properties of Hemp Extract attempt to reduce pain and accelerate the healing process. Once you learn how to use Hemp Oil for pain, you can optimize the effects and maximize your benefits. Integrating this natural compound into your daily routine may produce stronger results. Therapeutic benefits of Hemp Oil may include pain management, improved sleep cycle and joint mobility. Reduces Pain - When you take Hemp Oil for pain, the compound causes the accumulation of anandamide, a “bliss” molecule, in the nerve synapses. Anandamide binds to pain receptors and may reduce the sensation of pain. By increasing the concentration of this molecule in the body, Hemp Extract may lengthen and strengthen its effects, keeping you pain-free longer. Natural Sleep - Sometimes pain creates sleeping trouble. The ability of Hemp Extract to reduce pain can make it easier to fall asleep and stay asleep longer. CBD allows you to wake up well-rested and energized. Hemp Oil also promotes natural sleep when taken before bed by relaxing your muscles and lowering stress levels. Joint Mobility - Prolonged joint pain and inflammation can often result in loss of mobility, making it hard to sit, stand or jump. The anti-inflammatory properties of Hemp Extract may reduce swelling and allow the joints to move more freely. In return, you may regain some of your lost mobility. Everyone reacts differently to Hemp Extract, so the dosing is highly individualistic. 15 to 30 milligrams is a good place to start, but you can freely adjust your intake based on how you feel. Place ½ a dropper of oil under your tongue and hold for 1 minute to see maximum results. You can implement this natural compound into your daily regimen for consistent, long-lasting results. As you use this product more, you may become accustomed to your dosage and need an extra boost. 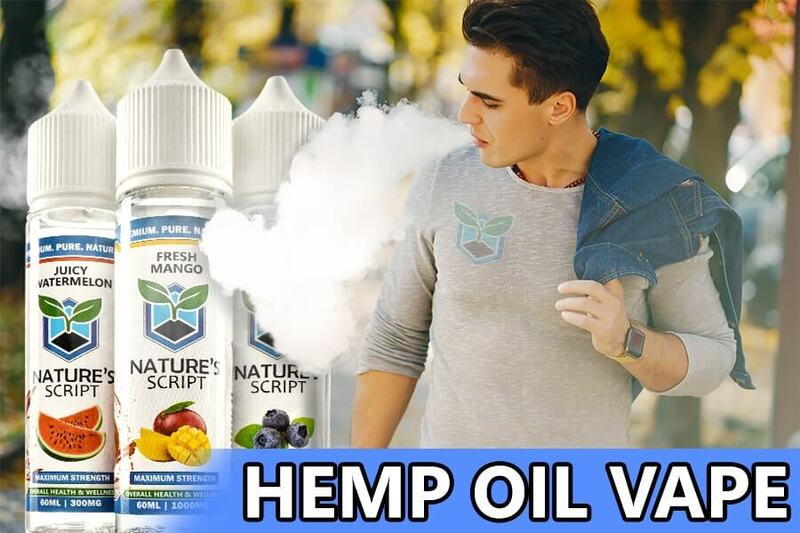 Nature’s Script offers High Potency Hemp Oil with higher concentrations of Hemp Extract for those with more severe symptoms. Our Hemp Oil is available in two delicious flavors – peppermint and watermelon. If you are unsure how to use Hemp Oil for pain in your daily routine, try a Hemp Oil Smoothie or Hemp Oil Green Tea to jumpstart your day pain-free. Don’t let not knowing how to use Hemp Oil for pain, stop you from reaping the benefits of this natural compound. For small, targeted areas of pain, try Nature’s Script Hemp Extract Pain Gel. When used together, Nature’s Script Pain Gel and Hemp Oil may promote full-body relaxation by releasing muscular tension. 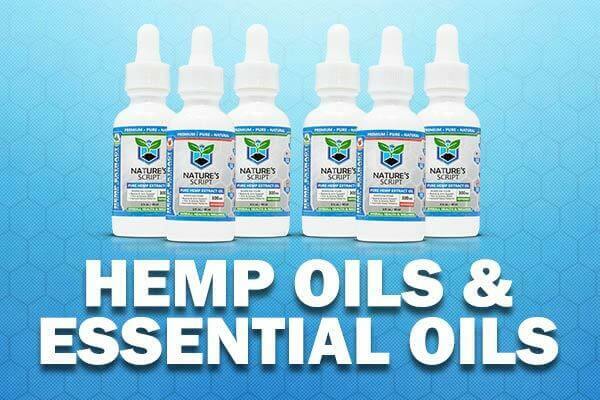 Learn more about the benefits of regularly using Hemp Oil.